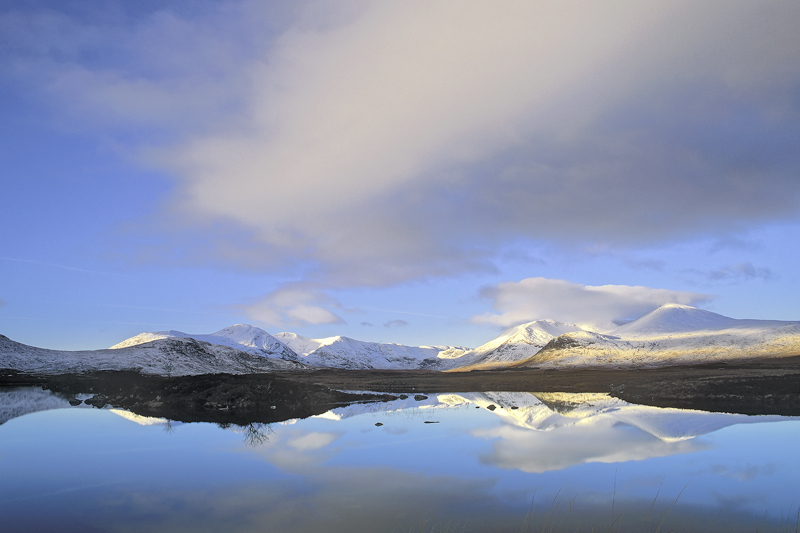 The distant Blackmount beyond Rannoch moor provide the perfect projector screen at first light. The mountain range becomes dappled and striped with the light of a yellow winter sun whilst the numerous folds and ridges generate deep blue shadows reflected from a clear sky. Soon after dawn the reflections maintained their mirror like purity so I waited for some larger more interesting clouds to fill the sky and double the value for money in reflection.